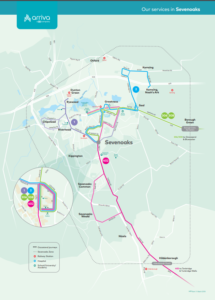 As has been rumoured, Arriva have announced that they are axing the route 1 service completely after 7 April, including the peak hour commuter service serving Riverhead, Chipstead, Bessels Green and Ryewood. 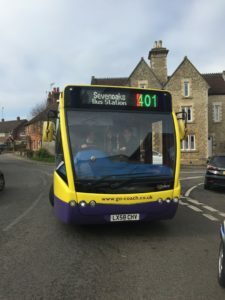 Go-Coach are introducing 1 additional 401 service in the morning peak, and 3 additional 401 services in the evening peak, to provide some replacement of commuter services to Riverhead, Chipstead, Bessels Green (evenings only) and Ryewood, starting on Monday 8 April. Arriva are starting a new commuter minibus service for Dunton Green, Chipstead, Bessels Green and Riverhead on Monday 12 March. This is a welcome reinstatement of the parts of the 452 service axed last year and largely recreates the earlier, popular, S2 service. The “1” minibus will run in the morning commuter period from Ryewood at 0628, 0648, 0708 and 0741 via Tesco, Witches Lane, Bessels Green, Chipstead Square, Chipstead Lane, Bullfinch Lane, Riverhead shops and on to Sevenoaks Railway Station and Bus Station. There’s a late afternoon/evening service leaving the Railway Station at 1609, 1634, 1705, 1725, 1745, 1805. 1825, 1845, 1905, 1925 and 1945. (These leave from the Bus Station 4-5 minutes before that). The minibus runs via Riverhead, Bullfinch Lane, Bessels Green, Chipstead Square, Chipstead Lane, Tesco and finally Ryewood.